I've read a fair amount of of books about building and monetizing websites, only to get to the end where they recommend you join a pyramid scheme of some sort. 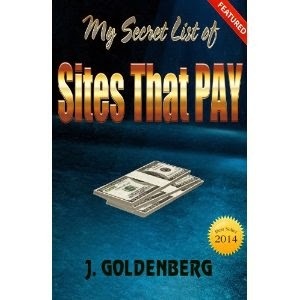 Fortunately, this is not the case with "My Secret List of Sites that Pay" by E. McNew and J. Goldenberg. The book outlines the basics of monetizing a site and getting it views (using a web-form, email marketing, etc). What I like about the book is that it talks about programs I've heard of AdSense, Amazon referral etc. I know I can trust these companies without having to take the author's word for it. Recommended if you're looking for a way to monetize a site and want to read what someone did to succeed after trying numerous options.